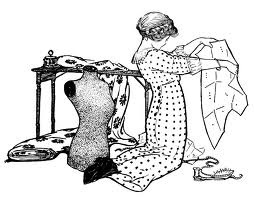 Our 4 week Beginners Sewing course is ideal to get you started. We can teach you all the basics including an understanding of your sewing machine, accurate stitching and basic problem solving (or avoiding!) . The course runs on a Wednesday evening most months, running from 6.30-8.30pm and lasts for 4 weeks. Week 1: Learn to use your sewing machine, tips and tricks for easier faff free sewing, also practice how to sew in a straight line, sew curves and corner with ease. Week 2: Learn to change a needle, check your tension, then move on to seams and hems, learning the most useful of each. Weeks 3 & 4: Make a simple item to practice and consolidate the skills you’ve learnt. Fabric and patterns/instructions all provided, or feel free to bring your own. £60 including materials and refreshments. Please pay a £20 deposit to book and pay the balance on the first session of the course. Look at the ‘deposit’ tickets to see how many places are left. Please ignore if the full price ticket says sold out, places are determined by the deposits paid. If you have your own machine we do advise you to bring it along, otherwise feel free to use ours. Everything else is provided as needed.